Tracy E. Phillips is a dedicated and thorough attorney with a passionate work ethic. 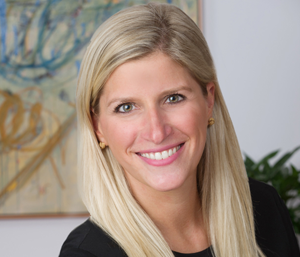 Her clients rely on her for keen attention to detail, candor and a commitment to preparation. This suite of skills helps clients feel comfortable during complex and emotionally challenging depositions, mediations and trial. In the office, Tracy’s colleagues trust her reliability, willingness to go the extra mile and positive attitude. Clients turn to Tracy for assistance with a wide range of family law issues. She helps guide her clients through divorce and legal separation and resolves difficult matters such as custody arrangements, child support, relocation issues and protective orders. Tracy also works closely with various Shulman Rogers attorneys in related areas of practice, such as real estate and tax law, and consults with outside professionals based on the unique factors of each case. Prior to joining Shulman Rogers, Tracy worked at a mid-sized regional business litigation firm in Washington, DC. With significant jury and bench trial experience in multiple Maryland courts, she has taken and defended hundreds of depositions and frequently argues motions in court. Tracy first became interested in practicing family law during her clerkship for The Honorable Nelson W. Rupp, Jr. in 2012. During this time, she assisted Judge Rupp with various complex trials involving divorce, property distribution, custody, child support and alimony. In previous internships with the Montgomery County State’s Attorney’s Office, she advocated for victims of family violence, giving her a unique and empathetic understanding of their circumstances and needs. Since entering private practice, she has committed herself to being the best possible advocate for her clients. Tracy lives in Bethesda, Maryland with her husband and golden retriever, Nelly. In her free time, you can find her taking SoulCycle classes and exploring the DC restaurant scene.